Despite being a standout college football player for Vanderbilt University that broke and set numerous school and conference division records, Jordan Matthews has not quite been able to live up to the standards he set himself up to achieve. The two-time First-team All-SEC honoree, who was selected by the Philadelphia Eagles in the 2014 NFL Draft, started his professional career brightly but has since his first two seasons, fizzled out from reckoning. Read on to find out more about his early life and career, as well as why he should not quite yet be written off. Matthews was born Jordan Armand Matthews, to Brenda and Rod Matthews, on the 16th of July, 1992, in Huntsville, Alabama. He is one of two children in the family and while growing up, Matthews watched his mother’s cousin, Hall of Famer and wide receiver, Jerry Rice, win three Super Bowls with the San Francisco 49ers. This, as well as his considerable athletic abilities, was what probably pushed him to play the game of football. The young lad was enrolled at Madison Academy in Madison, Alabama, where he played both football and basketball but it was, however, in the former that he was exceptional. He recorded a total of 181 receptions for 3,218 receiving yards and 38 touchdowns in his high school football career to attract the attention of college programs such as Arkansas State, Vanderbilt, Kansas, Tulane, and Jacksonville State who all offered him scholarships. Jordan Matthews went on to accept and attend Vanderbilt where as a true freshman in 2010, he managed 15 receptions for 181 yards and 4 touchdowns. In his sophomore year, Matthews recorded 41 receptions for 778 yards and 5 touchdowns, which earned him an inclusion into the 2012 Biletnikoff Award Watch List. In his junior year, Matthews showed clear signs of improvement by registering 94 receptions for 1,323 yards and 8 touchdowns to earn a first-team All-SEC selection as well as an inclusion on the 2013 Maxwell Award and CFPA Wide Receiver Trophy Watch Lists. As a college senior, Matthews proved his previous achievements were not a fluke as he recorded 112 receptions for 1,477 yards and 7 touchdowns. This took his total college career records to 262 receptions for 3,759 yards and 24 touchdowns, which were all Vanderbilt school records while only the receptions and yardage were Southeastern Conference records. Matthews then garnered first-team All-SEC selection as well as first-team USA Today, CBS Sports, Sports Illustrated, and the Associated Press All-American mentions. He further won 2013 CFPA Elite Wide Receiver Trophy and was a semi-finalist for the Biletnikoff Award. 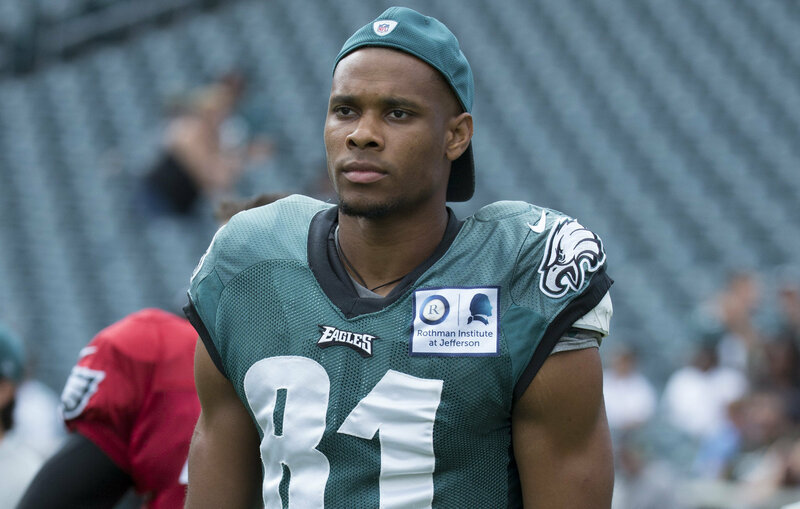 Upon graduation with a degree in economics, Jordan Matthews was drafted by the Philadelphia Eagles with the 42nd overall pick in the 2014 NFL Draft. 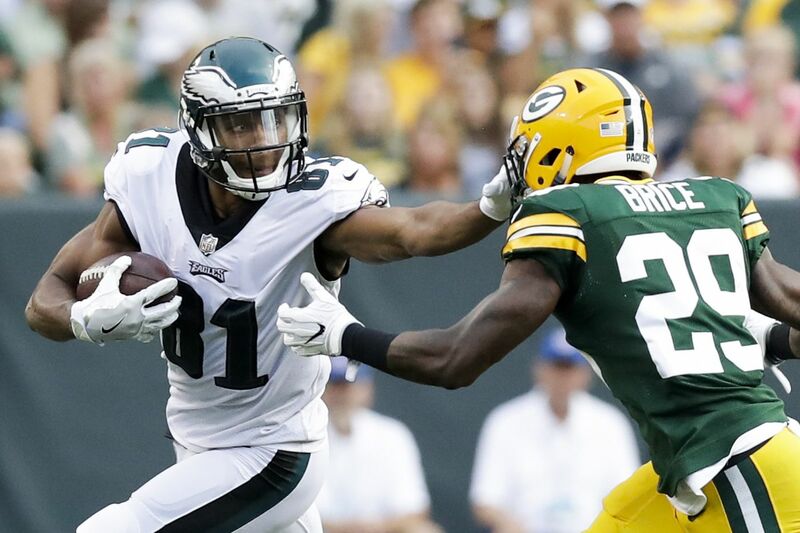 Jordan Matthews put pen to paper on a four year deal with the Eagles and headed straight into training camp where he was said to have made an even bigger impression on his coaches to be considered for a starting spot. Matthews went on to start 10 of the 16 games that season, recording 67 receptions for 872 yards and 8 touchdowns. In the 2015 season, he was able to start in 12 of the 16 games he appeared in, recording 85 receptions for 997 yards and 8 touchdowns. Disappointingly, following the arrival of rookie quarterback Carson Wentz in the 2016 season, Matthews recorded career-lows in yards and touchdowns by only managing 73 receptions for 804 yards and 3 touchdowns. It is not clear if his relationship with Wentz was the reason behind the poor showing that season, however, the Eagles opted to trade Matthews to the Buffalo Bills. In his one season with the Bills, Matthews recorded 25 receptions for 282 yards and 1 touchdown which were all career-lows. After 2017 season, Matthews signed with the New England Patriots in April 2018 in hopes of getting his career back on track playing under the legendary Bill Belichick and alongside Tom Brady, however, the wide receiver was released after a few months following a hamstring injury he suffered in training camp. This gave room for him to rejoin the Philadelphia Eagles where he hopes to find the form he had at the beginning of his career. Jordan Matthews’ height is listed at 6 feet 3 inches or 1.91 m, which makes him tied for second alongside Alshon Jeffery and behind Mack Hollins on the Eagles’ wide receiver height list. Matthews further weighs 212 pounds or 96 kg with an arm length of 33¼ inches and hands size of 103/8 inches.